The Professional Development staff here at Eagle Rock are organizational school change consultants who work with schools, school districts, and youth service organizations to create healthy, high-functioning learning environments in order to improve student achievement. Recently, the team took on an instructional improvement tool here on campus called Student-Centered Coaching (SCC), which has more of an impact on students than Teacher-Centered Coaching or Relationship-Driven Coaching. The sequence of this SCC cycle includes the “tuning” of a lesson plan with the instructor. When we tune a lesson plan we generally have two basic aims: a learning target, and a set of activities sequenced in a way that will help students meet that learning target. The objective is to give and receive feedback from colleagues about the degree to which the activities seem likely to get students to the learning target. The plan is “in tune” when the learning target and the activities are most in alignment. It was back in mid-September of last year that we introduced you to Eagle Rock’s 2013-2014 Public Allies Fellows. Now, just five short months later, we’re already looking ahead to August 31 of this year, which is when we’ll welcome our 2014-2015 class of Fellows. 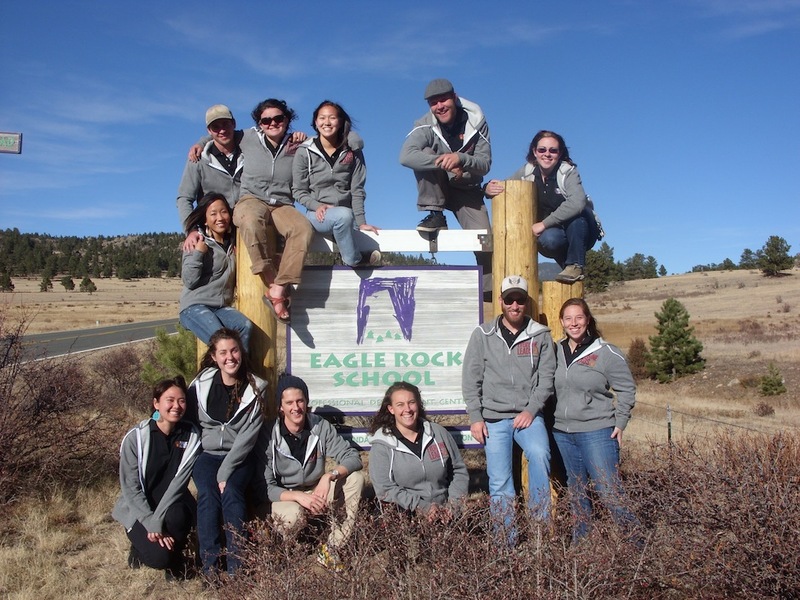 If you’re unfamiliar with it, the Public Allies Fellowship Program at Eagle Rock, falling under the auspices of our Professional Development Center, offers people ages 18 to 30 that are interested in youth development and educational change an opportunity to serve here at our nationally recognized and award-winning residential high school in Estes Park, Colorado. Through our unique service and training opportunity – which ultimately focuses on reengaging youth in their own education – our Public Allies Fellows gain skills that make them highly effective teachers, leadership trainers, and youth workers. Now, if you’re stumbling upon our blog because of your interest in applying for one the fellowships available at Eagle Rock, here’s the skinny on us: Eagle Rock is a leader in the nationwide effort to reengage youth in their own education. By engaging with students to understand what is and isn’t working for them in their own education – and by facilitating the efforts of others interested in the same – we contribute to making a meaningful difference in communities and education. 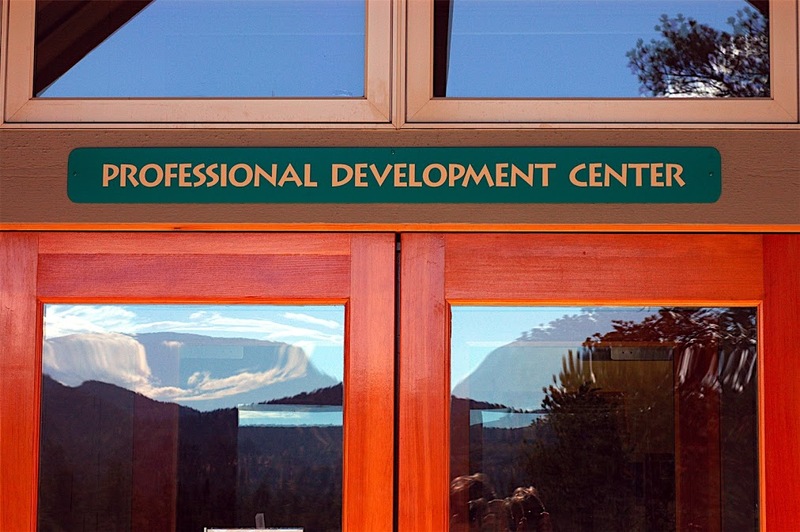 Our innovative curriculum draws extensively from our unique mountain setting, emphasizing environmentalism, outdoor education, active learning, community service, and traditional academic subjects, while our Professional Development Center provides teachers and others with opportunities to develop innovative curricula and teaching methods that can be used to better serve the needs of similar students in their communities. If our recent level of activity is any indication, Tolstoy was right… Spring is the time of plans and projects. And while the first day of spring is still 30 days away, as you’ll see, we’ve been hard at work tilling the soil, so to speak, so that the seeds we plant these next few months will bear significant bounty along the education landscape for quite some time to come. To start things off, we recently played host to Xylem Larla Day, a graduate student in education from Cal State-Chino, who visited our Estes Park, Colo., campus to research teaching and assessment methods. In addition to pursuing a Masters degree in Education, Curriculum & Instruction, Xylem is in the midst of starting Earth Arts Academy – a community-oriented movement that aims to open an environmental high school in Nevada City, Calif., by fall 2016. Next up, our staff recently collaborated with IDEA (The Institute for Democratic Education in America) to design a tour in New York City for a group of 30 educators, youths, parents and community leaders from South Burlington, Vermont. Lead by former Eagle Rock Math Instructional Specialist, Jason Cushner – who now works with Big Picture South Burlington, a school-within-a-school at South Burlington High School – the group from Vermont was in search of tips, insights, strategies and tactics that may help in their efforts to shift their approach to graduating students from a seat-time requirements basis to a more proficiency-based system. Once the tour began, our role was to facilitate key reflection meetings and debrief the learning from the visits so that immediate action could occur back home in Vermont. And to help support the effort even further, a group from Eagle Rock will travel to South Burlington in mid-March to follow up with the Vermonters (more info on that trip appears below). A staff member from Washington Heights Expeditionary Learning (Washington, Heights, NY) will be visiting with our PDC staff as he explores ways to start up his own Expeditionary Learning School (i.e., a school that inspires the motivation to learn and transform urban, rural, and suburban education by empowering students and adults to become leaders of their own learning). 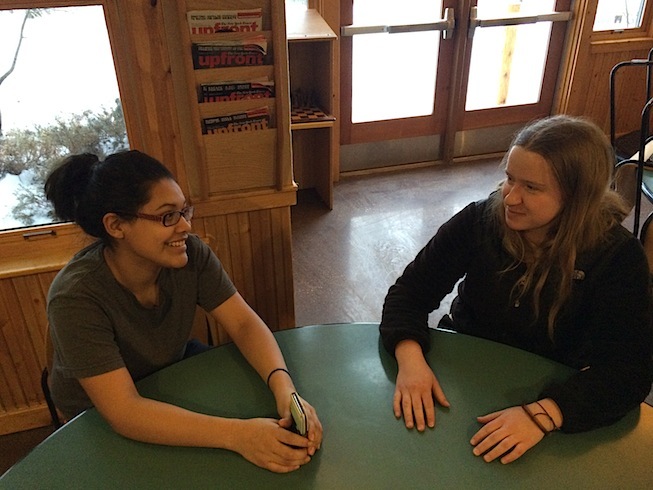 Staff from Holy Heart of Mary High School in St. John’s, Newfoundland, Canada, will be on campus this spring to learn how Eagle Rock works with ‘opportunity youth’ (i.e., young people who are both out of school and not working). Staff from the Donnell-Kay Foundation will also be visiting Eagle Rock soon to learn about work with ‘opportunity youth.’ The foundation, which is committed to reforming and improving public education in Colorado through research, creative dialogue and critical thinking, is based down the road in Denver. Staff from the Los Angeles Small Schools Center in California – a Coalition of Essential Schools member since 2006 – will be paying us a visit to learn about how they can support us in our work with the Los Angeles Unified School District. 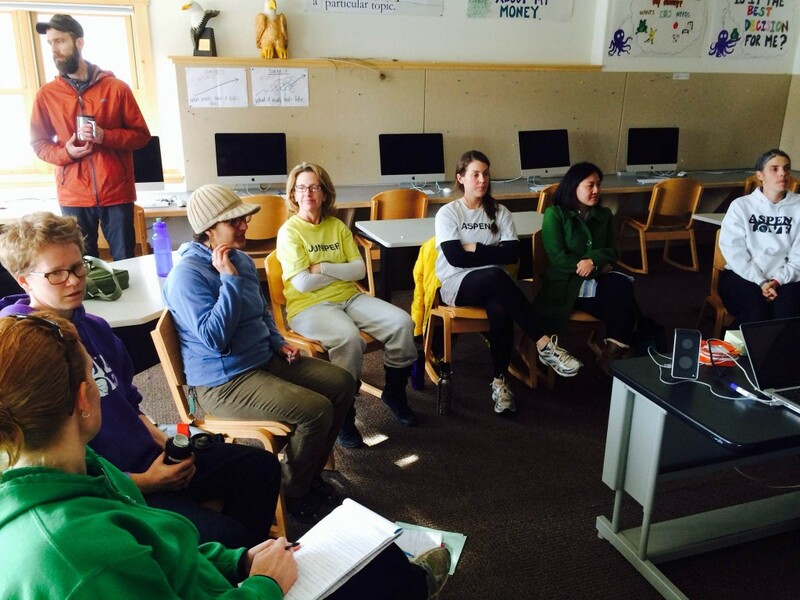 Staff from North Carolina’s Voyager Academy return to Eagle Rock this spring to work on strengthening their internal professional development systems that are aimed at supporting their project-based learning high school. Today, we’re starting up a new series of blog posts that are written by – and written about – our students here at Eagle Rock. And to kick things off, we’re placing the spotlight for this initial post on Ashley Hernandez, a Fort Worth, Tex., native who comes to Eagle Rock from Lafayette, Colo.
Heather: What’s it like at home in Lafayette? Ashley: It’s fun, and also stressful. Since I’ve been at Eagle Rock, I find I argue less with my family. Heather: What did you think when you first got to Eagle Rock? Ashley: It was overwhelming. It was something different from what I was used to… It was scary at first. Heather: Yeah, I think we can all relate to that. So thinking about Eagle Rock now, what’s your favorite part? Ashley: Intramurals. We get to play, and be competitive and active. It’s a good time to get some anger out. Heather: Could you tell me about some personal growth you’ve worked on recently? Greetings from Eagle Rock School and Professional Development Center! While we’re currently well into our fourth week of ER 62, I’d like to take a look back at ER 61, our fall trimester that began the end of last August. We kicked things off by welcoming a dozen new Public Allies teaching fellows to our campus, and a week later, we welcomed some rain. It was on a Monday, and we were all a bit giddy about the change in weather because, whenever it rains in Colorado, we feel blessed. By that Wednesday, news reports promised we’d have at least a shot at receiving the average annual moisture total for the year, and that’s absolutely great news for a normally dry state. True to the weather predictions, the rain kept coming. By Friday, Sept. 13, things began to turn weird. Wet and weird. Canyons were washed out. Estes Park was isolated. The Safeway market aisles were depleted. There was no gasoline in town. The public utilities were intermittent at best. We were in the midst of a 1,000-year rain and a 100-year flood. That, my friends, is how last trimester started for those of us who live or work here at Eagle Rock. Somehow we made it through this damp deluge, and it was due in huge part to a lot of hard work on everybody’s part. And please believe me when I say that for some staff members, tremendous sacrifice was involved. Looking back, I have to say it was worth it. It was well worth it. 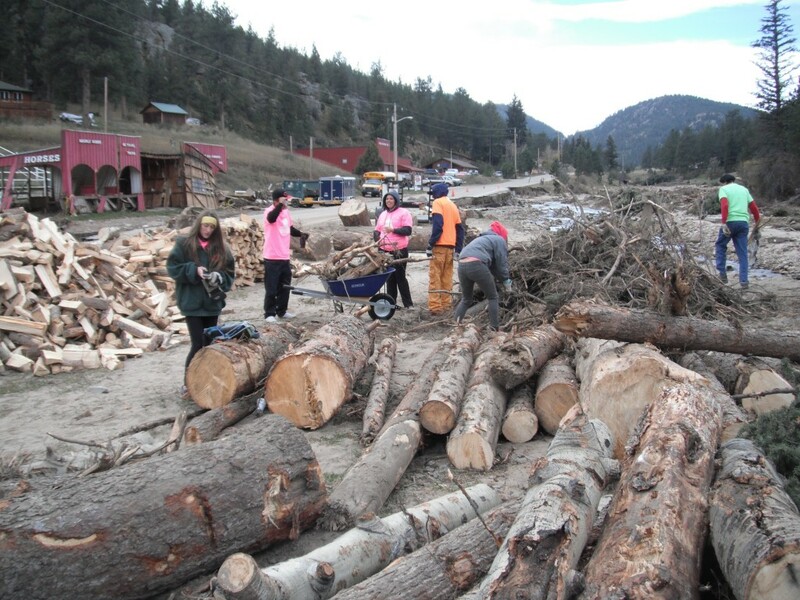 Eagle Rock students help with 2013 flood recovery efforts in Estes Park, Colo.
That quote exemplifies our staff members who live off campus and were highly impacted by the flood. Our accountant Denise Dunn; chefs Ed Perry, Mark Dougherty, Jay Halladay, and Thad Quesada; math instructor Karen Ikegami; visual arts instructor Cindy Elkins; Public Allies Program Director Mark Palmer; Professional Development Center associate director Dan Condon; and operations staff Linda Bieker, Terry and Kerri Tierney and Patricia Jobst; all went way beyond the call of duty with a simple commute to work that became a daunting daily undertaking. The flood affected all of us. Yet not one soul missed a beat in his or her commitment and dedication to our mission. There’s no way we could have served students without them.